Globes are made from many different materials in a variety of styles and sizes. If you are looking to purchase a globe and need a little bit of assistance, checkout our new section "Things to Consider when buying a Globe"at UltimateGlobes.com. In addition things to give some thought to, we have also included Meghan Carters video from her visit to Replogle where she found some more detail that may help with your decision. Happy globe hunting and dont forget, if you have a question we have the answer! Give our experts a quick call 877-745-6237 ext 101, we are happy to assist. 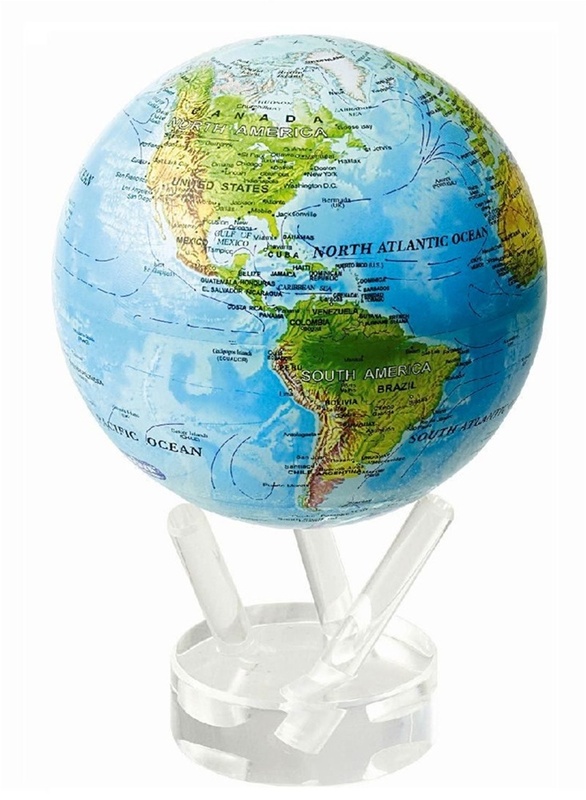 Ultimate Globes has teamed up with Mova to offer an incredible discount on the Mova 4.5-inch Blue Ocean Relief Map globe. This unique globe requires no batteries, but instead creates the necessary energy for endless rotation from the ambient light in a room. Great for the desk at the office or for that special place at home! Read more about how the Mova Globes work at Ultimate Globes. And most of all, HAPPY Fathers Day!